Home Call for Applications Civicus 2018 International Youth Day Symposium for Youth Creatives. 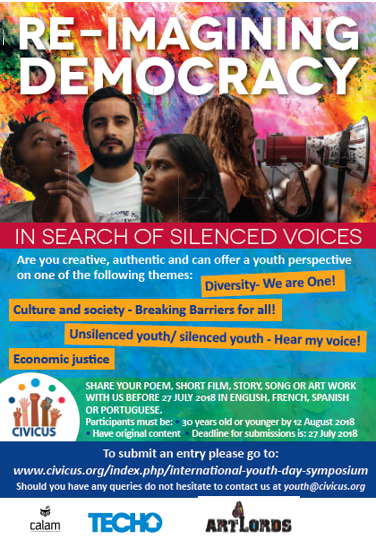 Please submit your application by filling in this form: https://www.civicus.org/index.php/international-youth-day-symposium. The deadline for submissions is 27th July 2018.